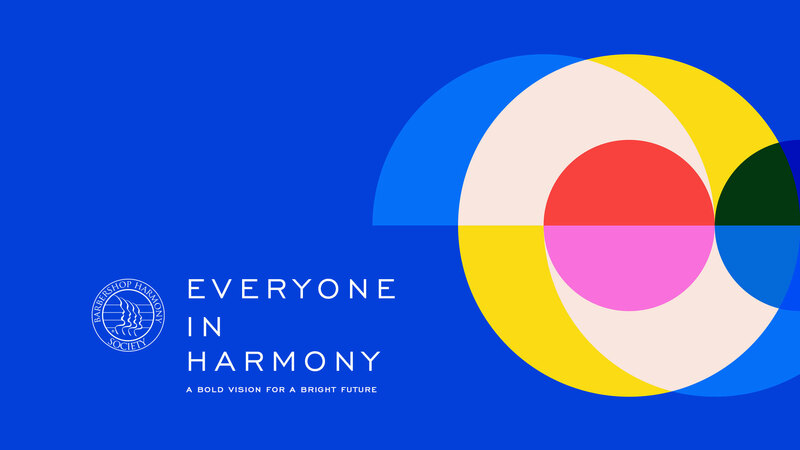 Home / Everyone In Harmony / Roadmap and MilestonesBecome A Member! 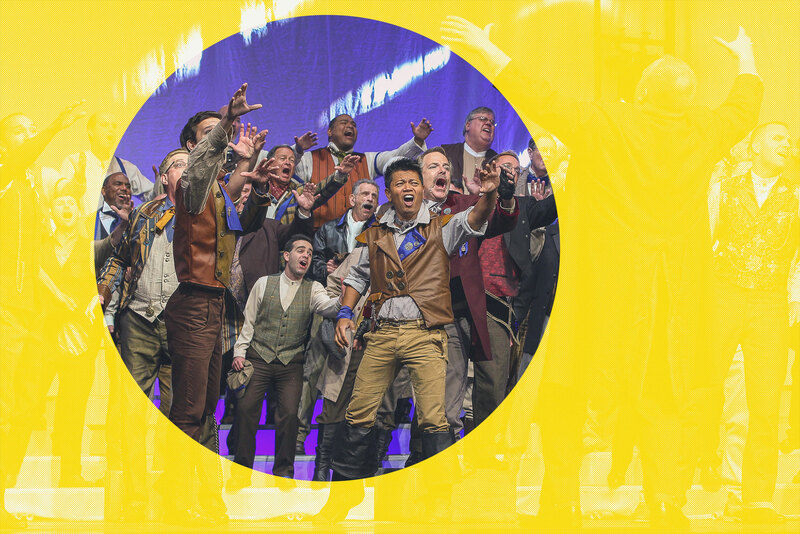 To answer the first, email strategy@barbershop.org to inquire more about how you can get involved. For the second answer, read on! Since July, your team of Board and staff leadership has been working hard to flesh out the details of how to get there, with the guidance of experts in long-term strategic planning. 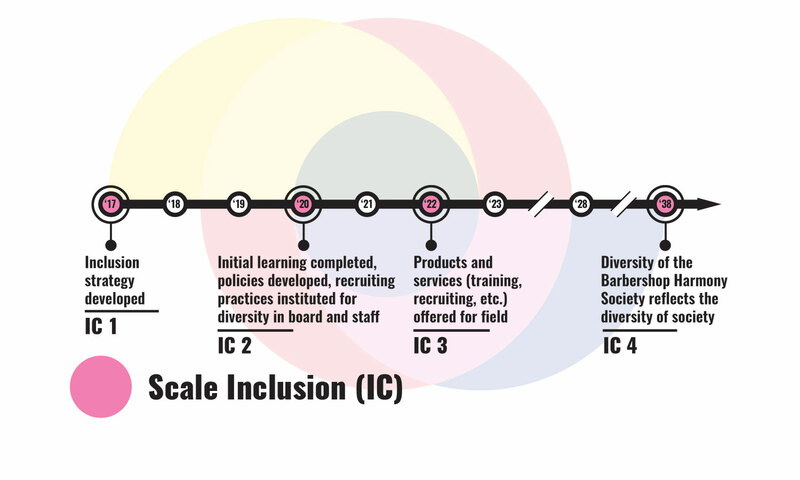 The result is this roadmap that CEO Marty Monson introduced to participants in a Town Hall Meeting at the Midwinter Convention in Costa Mesa. 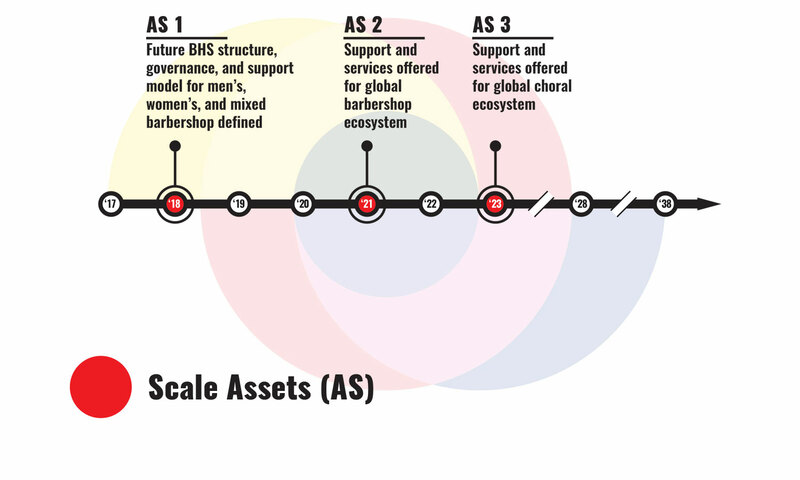 Four workstreams comprise the roadmap, corresponding to the major strategies in the Strategic Vision. 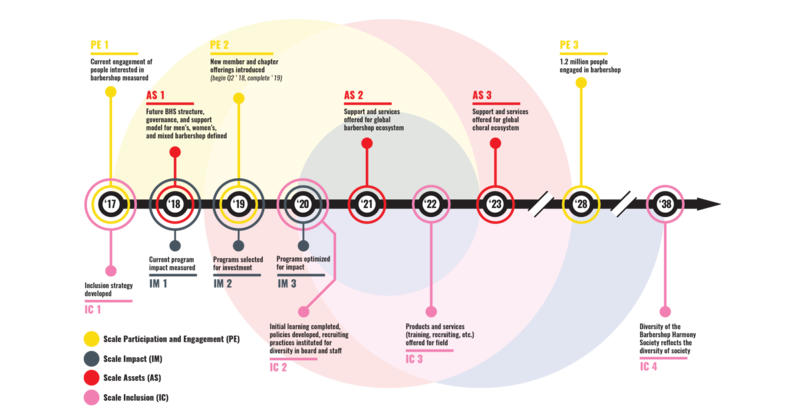 Milestones along the path mark dates by which specific achievements will be accomplished. 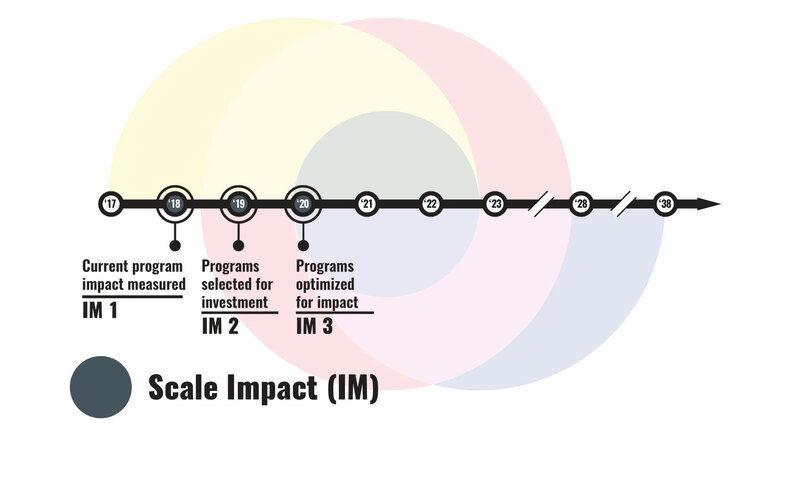 Most of the milestones are in the next five years as we strive to sustain momentum and make meaningful impact on our membership, chapters, and communities. 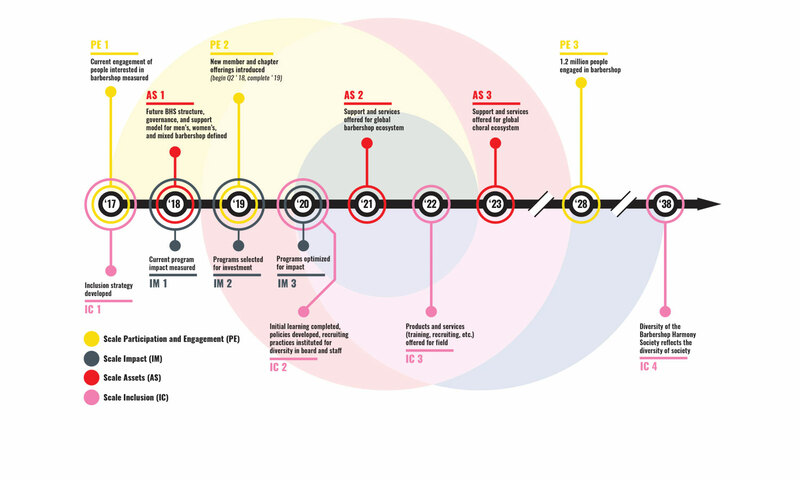 The full roadmap with all four workstreams and the annual milestones is immediately below. Keep scrolling down for an explanation of each workstream. 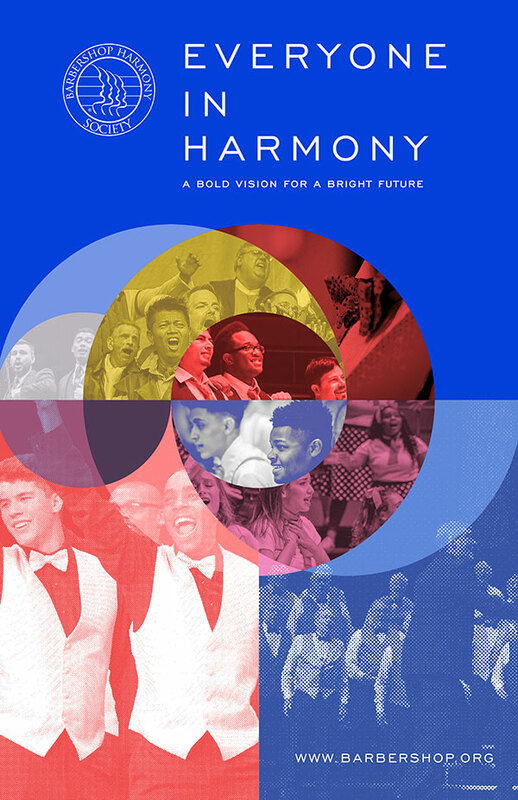 Expanding the impact of barbershop singing and BHS to the broader community and world. Putting our assets to work on behalf of the whole world of barbershop, and eventually other choral groups as well. Being radically inclusive and welcoming towards all, so that we reflect the communities in which we live. Share this video with your chapter and quartet, and ask yourselves: How do the things we are doing right now align with these approaches? 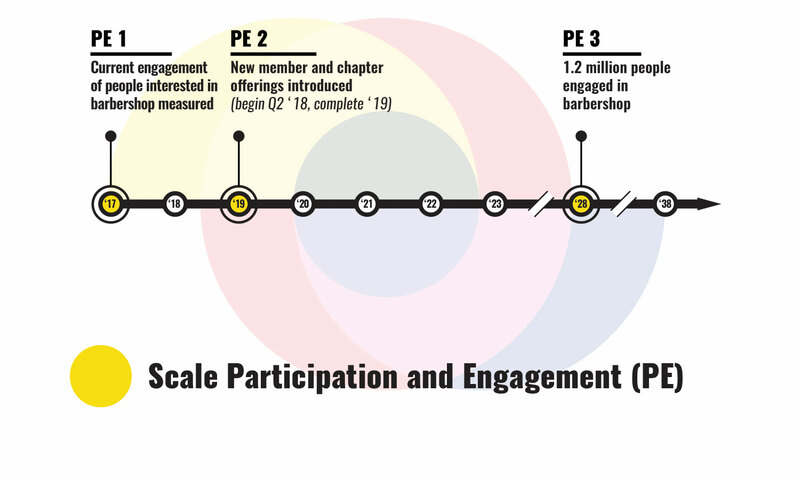 What can we as a chapter do to be more welcoming, more outward-focused, more attuned to the possibilities of all barbershop stakeholders — not just potential members, but also potential audiences and other communities? 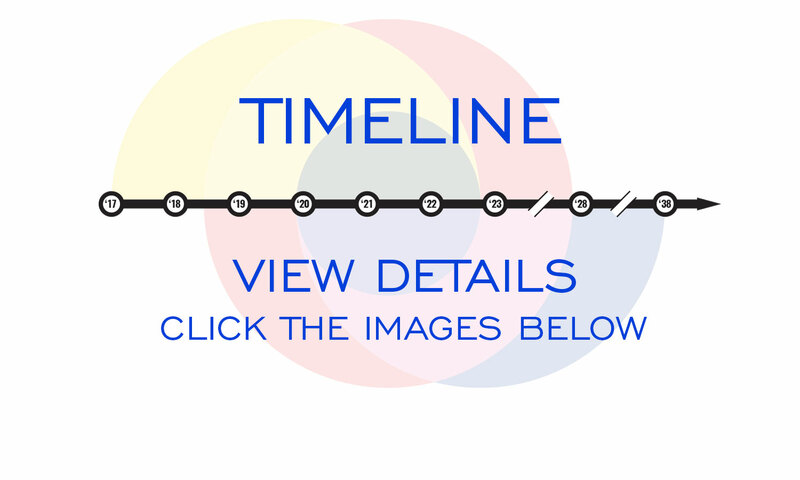 Share your thoughts and ideas at strategy@barbershop.org. 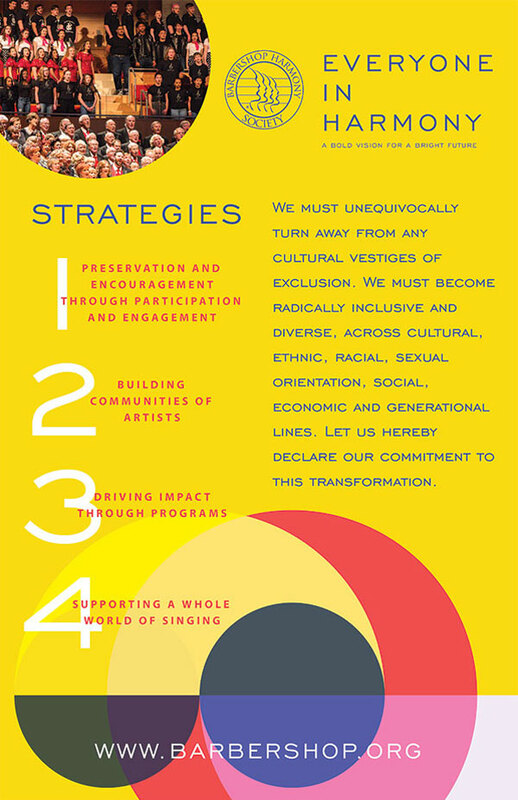 Download this 11″ x 17″ poster and utilize your local printer to place this poster anywhere you see fit, perhaps on the wall at your local chapter meeting location to remind your members of the Vision’s Four Strategies that we are all working towards.